October is a month of creepy fun, especially since a growing number of Malaysians are celebrating and observing Halloween. After all, who doesn't love candy, costumes and games? There is no need to purchase Halloween decorations or costumes since you can easily make them out of objects you already have in your home. Jack-o-lanterns can be fascinating to look at, but can also be messy and wasteful, especially since pumpkins start to rot within hours in our tropical weather. 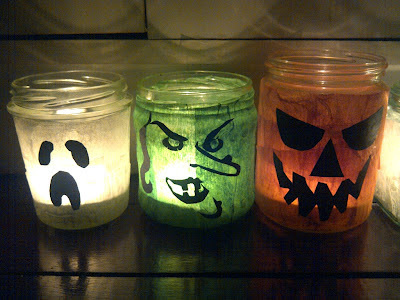 Here are instructions on how to make reusable glass Halloween lanterns that can last you many years! (1) You need: Glass jars with wide openings (e.g. jam jars, pasta sauce jars), crepe paper (coloured tissue paper or cellophane wrap works too), black construction paper, scissors, craft glue and a glue stick. 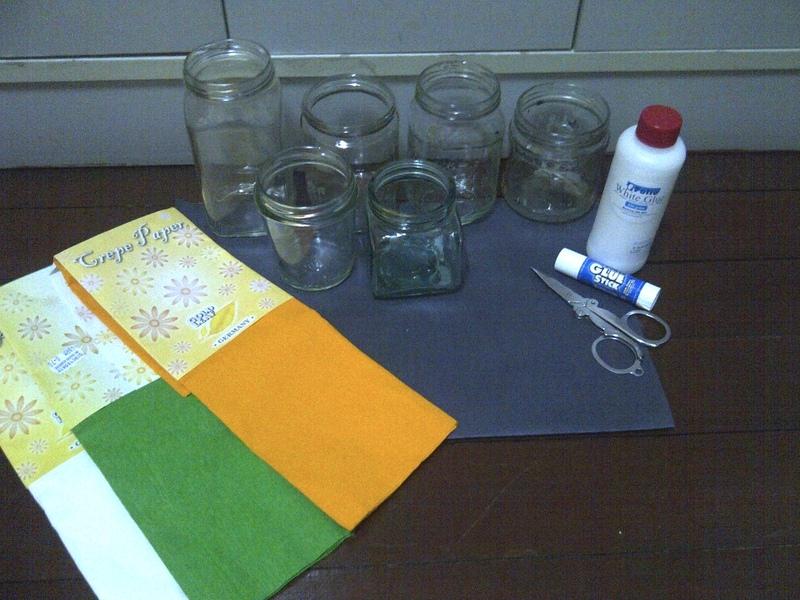 First of all, protect your work surface using an old plastic tablecloth or old newspapers. Have a small basin of water ready to rinse your sticky fingers in. 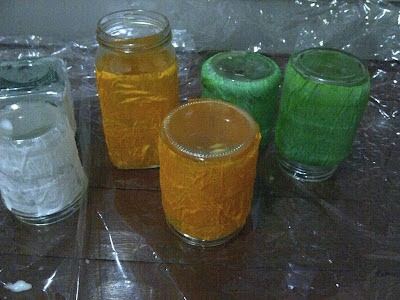 (2) Cut the crepe paper into pieces large enough to wrap around each jar and glue them onto the jars using the craft glue. You may need to dilute your glue with water if it is difficult to spread. Cover the entire surface of the jar with glue using your fingers or an old paintbrush so that the crepe paper will not come off when dry. Smoothen out any wrinkles or bubbles before the glue sets. 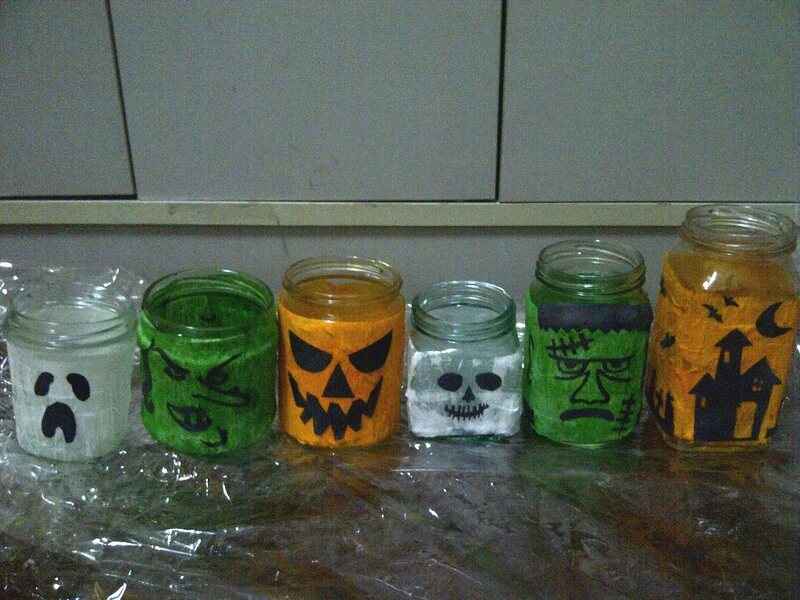 Leave the jars for a few hours over overnight for the glue to dry completely. (3) While waiting for the glue to dry, sketch your designs on black construction paper and cut them out carefully. 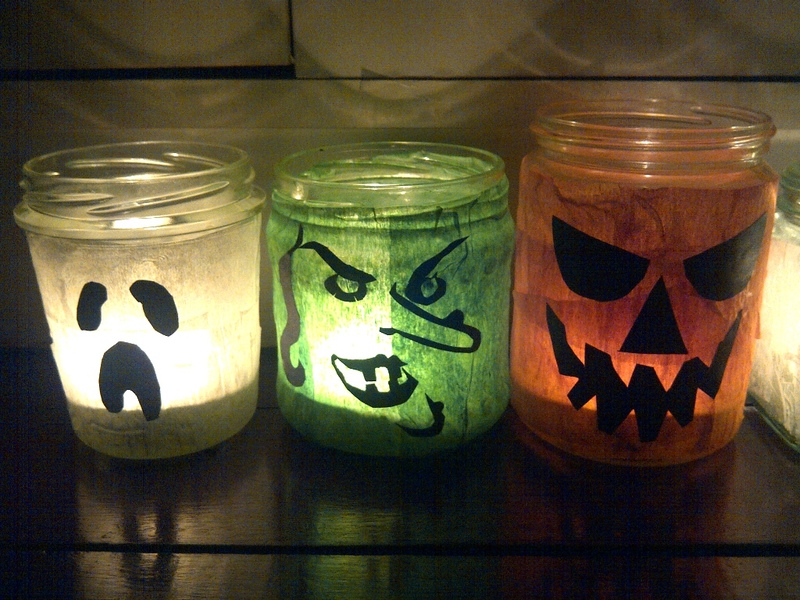 Ideas for designs can include bats, owls, black cats, haunted houses, skulls, ghosts and jack-o-lantern faces. 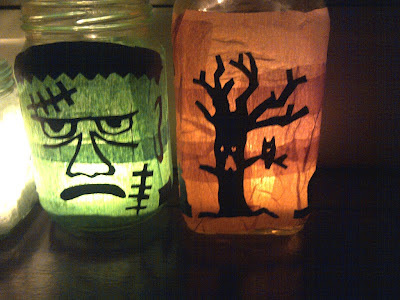 (4) Use the glue stick to coat the back of the construction paper cut-outs, and then paste them on the jars. Dry glue sticks are much easier to use and less messy than liquid glue for intricate work like this. 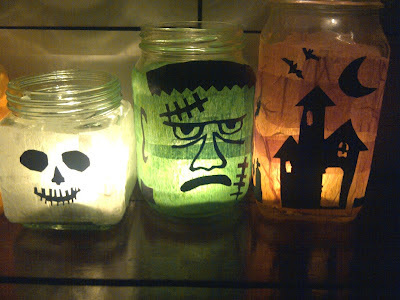 Leave the glass jars for a few hours or overnight for the glue to dry. (5) Insert a lit tealight candle into each completed jar for a spooktacular effect! Such an easy project! 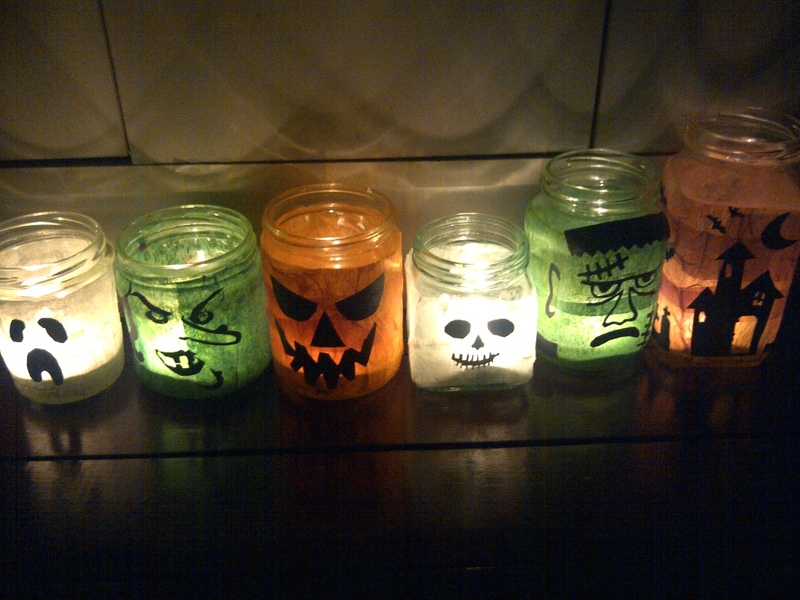 And just like you say: A spooktacular effect!!! Thanks, Pat! Yes, it is a very easy project! 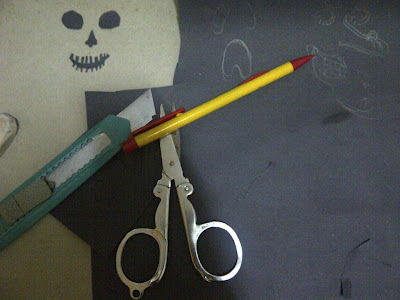 Eco Kids readers can be as young as 2-3, and this is something easy and inexpensive and does not require the use of any special tools or equipment.